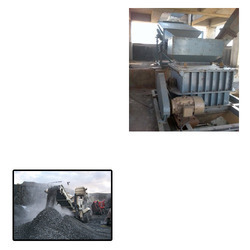 Pioneers in the industry, we offer hammer crusher for coal from India. Owing the years of experience in this domain, we are indulged in offering wide assortment of Hammer Crusher for Coal to our reputed customers. This product is highly appreciated by our customers for its sturdy construction, low maintenance and other features. Hammer Crusher for Coal is used in power generation, cement production and much application. This product is available at nominal price to our esteemed customer.